Higher education is academic degree programs offered by universities and colleges than extend the knowledge that students gain from K-12 programs. These degrees include undergraduate and postgraduate work and differ from those that vocational or technical schools offer. A main difference is that vocational and technical schools provide training that experts consider as non-academic while higher education provides academic training. Although there are many reasons that individuals should seek higher education, economics is a major motivator. A 2018 report by the United States Bureau of Labor Statistics (BLS) suggested that individuals over the age of 25 working full time with at least a bachelor’s degree earned substantially more than those with just a high school diploma. Experts establish the importance of higher education; therefore, what options are right for you? Science, technology, engineering, and mathematics (STEM) majors are in high demand. This area is where the United States has been pushing because of its direct link to innovation and technological development. Science degrees can range from astronomy to physics and have a range of career choices. In technology, every type of industry uses high-tech to some degree. Therefore, jobs that include the development of software and the administration of data are in high demand. Engineering includes working with design in areas such as structures or even computer networks and degrees in the area include civil or computer engineering. Math covers the areas of working with numbers. Among the degrees that employers value, the highest are information technology, computer science, telecommunications, computer programming, information technology and security, and general engineering, among many others. These areas will continue to be in high demand given the world’s adoption in technology and the continual growth and dependency in communication systems. A major advantage for those seeking STEM degrees is than many high-quality universities are offering online options. Therefore, students can obtain a degree from institutions offering accredited online degree programs in their area of interest. Healthcare is one of the fastest growing industries in the United States. The sector is growing in part because of a few factors including the aging population. However, job growth has also been positively affected by the changes in the access to health insurance. Regardless of the reasons, the U.S. Bureau of Labor Statistics indicates that over the next ten years, jobs in the area will grow by about 23 percent, creating over 900,000 new jobs. These jobs are diverse and include positions that range in salaries with lower-end jobs starting around $20,000 a year to higher-end positions that can be as high as $102,000. The sector, however, includes jobs in clinical and non-clinical areas. Universities offering options including Associate Degree in Nursing program to medical degrees will see a spark in interest, as this industry continues to grow. Therefore, those with interest in joining the field have a variety of options to choose from. Some of these degree options are available online from accredited institutions while some are not. Therefore, students looking to study online may need to research different options and chose a program that can accommodate their specific needs. 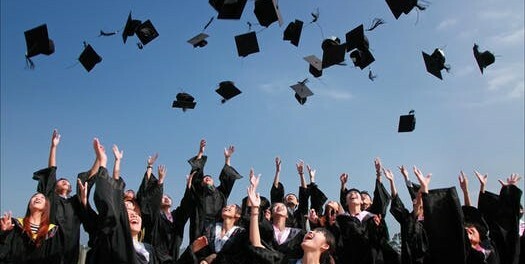 Entrepreneurs do not necessarily need higher education degrees to be successful. Because these individuals create their own jobs and opportunity, what they generally need is knowledge or training in a specific area to create an enterprise out of an idea. The areas can range depending on the type of interest of the entrepreneur. For example, someone with love for dance can open a dance center. For this example, institutions with highly qualified professional instructors, such as the Arthur Murray Lincolnshire Dance Center, and instructors with higher degrees in areas like Bachelor of Fine Arts, may have competitive advantages given the extended knowledge in the field. Entrepreneurs and small business owners will face many challenges when running an organization. These challenges will range from accounting to specific field experience and many will fail in the process. Much of the failure is attributed to a lack of a business plan and problems financing the organization. Therefore, even if the idea is great and does not involve the need for a degree in accounting or business administration, entrepreneurs will need some financial and business management skills. Even if entrepreneurs do not have to go through a job interview process, higher education degrees will provide advantages by preparing students for the business environment. Although students use their income and the income of their parents to pay for more than 40 percent of costs associated with college, more than 70 percent of students graduating college will enter the workforce with debt related to their studies. The positive aspect is the United States Federal Student Aid Program, under the Office of the United States Department of Education, provides financial aid to students that want to pursue higher education. These loans and assistance programs depend on the financial needs of students and their parents and can include grants or low-interest loans that are paid back once the student graduates. Furthermore, newer versions of the federal program allow students to pay the funds back based on their earned income and adjusts yearly to account for changes in income. When students continually make on-time payments, some of the loans may be forgiven. Once a student graduates and becomes part of the workforce, they need to begin addressing the financial obligations obtained from years of studying. Otherwise, the individual may accumulate massive amounts of debt added by the interest on the loans and other financial obligations. Student loans will appear in credit reports; therefore, it is important for everyone with such loans to understand what the impact will be. Unless a person wishes to live completely off the grid, credit is almost a necessary component of living in today’s world. Therefore, students should review Credit Sesame to ensure that they understand what is on their credit report and plan for a responsible financial future that can provide the basis for purchasing a car or a home. Knowing the scores provided by credit bureaus and what is on your credit report can make the difference between obtaining low-interest credit loans and being denied credit. Therefore, recent graduates should regularly monitor their activity and act in correcting any errors or misinformation that appears. Although there are a lot of people that say that education is not necessary to be successful, the truth is that there is plenty of evidence that suggests that obtaining a degree is worth the investment in time and money. Sure, there are the Steve Jobs of the world that had massive amounts of success and dropped out of college. However, students should not rely on these outliers to make decisions that can have repercussions for the rest of their lives. The fact is that Steve Jobs and Bill Gates are an exception to the norm and not the common result. 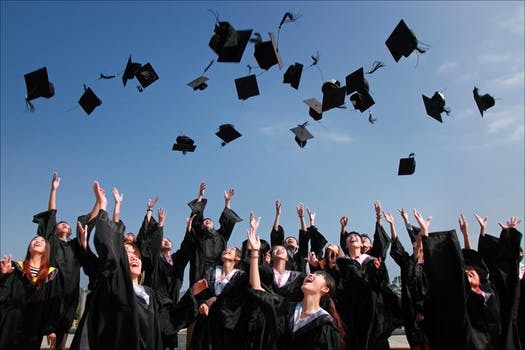 Even if students finish studies in a field that end up being the opposite of what they will pursue as a career, the dedication toward finishing something and the knowledge and experience gained by having completed a degree program will provide a return in investment when entering the job market or opening up their own business.